Video of Crowbar’s entire Crockett, California performance can be seen below. Also on the line up were Tombs & Incite. 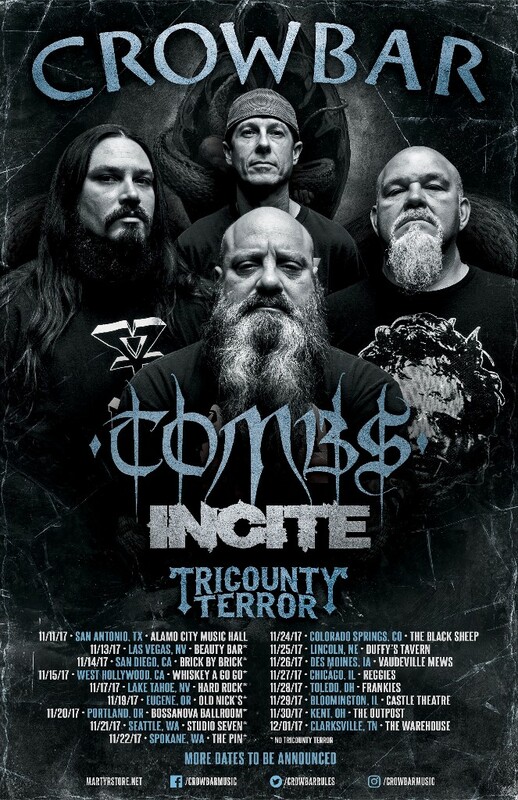 Crowbar had announced a new tour coming late this fall, bringing along Tombs and Incite as support and featuring Tricounty Terror at a few select shows. Remaining dates are as follows.